It’s a time of giving. right? 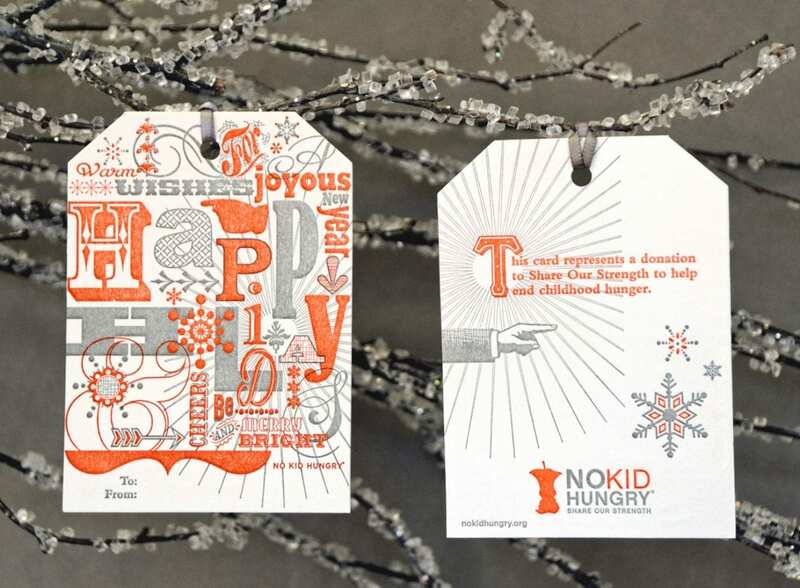 Wanted to pass along some information on Share Our Strength — an organization that creates beautiful No Kid Hungry holiday cards that can either be used as traditional cards or as gift tags. These cards are perfect for attaching to packages, bottles of wine or even as holiday decorations. No Kid Hungry gift cards embody the spirit of the holiday season while also helping put an end to childhood hunger in America. Share Our Strength’s unique approach to fighting childhood hunger means that 1 card can help connect a child facing hunger to 10 meals.